Samsung India, the country’s largest consumer electronics and mobile phone brand, today announced its latest Smart TVs with industry first unique benefits such as Personal Computer, Music System, Home Cloud, Live Cast and Two Way Sharing. 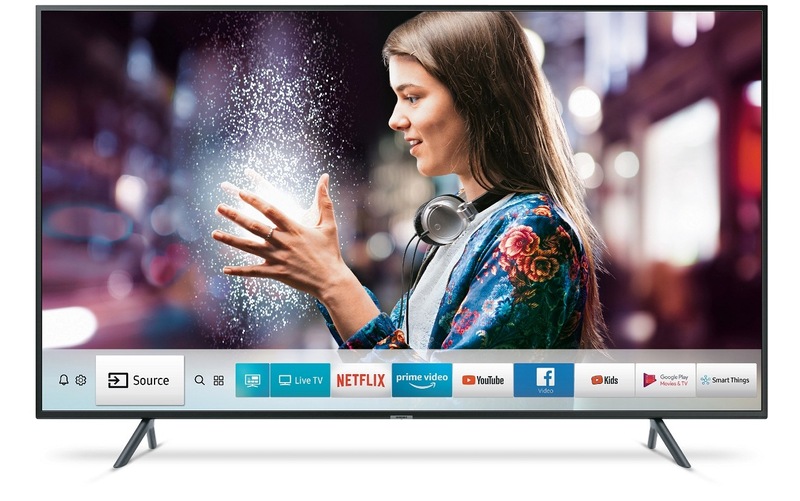 The new TV line up along with these never-seen-before benefits will redefine the term ‘Smart’ in Smart TVs and take your home entertainment experience to a whole new level. These benefits empower the consumers to experience a world beyond a conventional television. 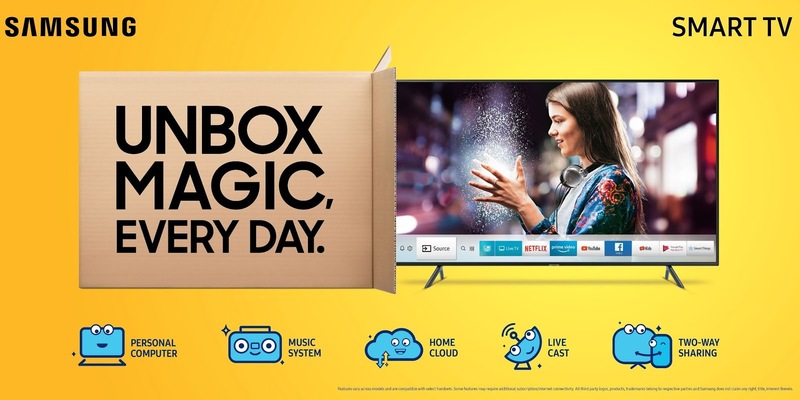 The new range of smart TVs, launched under the ‘Unbox Magic Every day’ campaign, resonates with the lifestyle of millennials offering meaningful benefits to them. All the benefits are designed under our ‘Make for India’ philosophy, keeping in mind the evolving needs of the Indian consumers on how they interact with their television and other smart devices. Along with the revolutionary new smart features, all the Smart TVs come with unmatched picture quality ranging from the High Definition range with Ultra Pix technology to the Ultra High Definition (UHD) 4K models, featuring superior colors, stunning details and contrast levels. The new Samsung Smart TVs will surprise you with never before features that will transform your entertainment experience to a new level. The new Smart TVs allow you to transform your Television to your own personal computer. With this feature one can turn their Smart TV into a full-fledged computer than just browsing. Consumers can create documents or work from the cloud such as creating your school or office presentations. 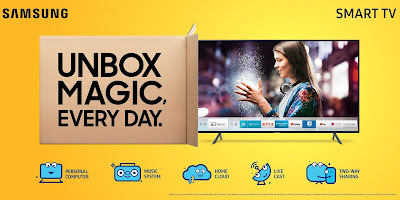 Users can also mirror their laptop on the Smart TV screen wirelessly without internet connection for a big screen or extended screen experience. Another unique feature is that users can remotely access their laptop or personal computer from any location over internet, for example you can access your work computer which is at office or any distant place to complete any unfinished file from the convenience of your home. The Smart TVs are secured by multi-layered Knox for unmatched security and provides seamless access to Microsoft Office 365 services over cloud. The new Samsung Smart TV offers a complete visual experience by turning into a virtual music system. It allows the user to choose from a library of skins with different color options. This feature enhances the overall audio experience by adding visual elements on the screen turning the TV into a virtual music system. You can manage multiple device playlists and create immersive musical experience with external speaker. Now, all your beats will sound and look better. Samsung Smart TV transforms into a virtual cloud to automatically store your favorite moments. The pictures and videos of your smartphone are transferred automatically and wirelessly without an internet connection on to the USB drive connected to the TV which is password protected. This feature allows you to view the moments on a larger screen anytime and free up memory on your smartphone. You have to initially sync your smartphone and TV and then the data is automatically backed up on the USB drive whenever the smartphone comes in close proximity to the Smart TV. You can also share the same content wirelessly to other smartphones without internet via the Smart TV. The Live Cast feature empowers the consumer to seamlessly stream live moments from any remote location on to their Smart TV over internet via their smartphone. The feature enables the consumers to effortlessly share a live stream with anyone having access to the user’s Smart TV allowing for collective entertainment experience. Two way sharing, allows sharing of content between the TV and smartphone, this feature allows the smartphone and Smart TV to work in harmony enriching the overall user experience. The user can play music and videos from their phone onto their Smart TV for a bigger screen entertainment or carry their TV content and audio to their smartphone for personal consumption without internet. All of Samsung Smart TVs come with the Smart Hub which gives you single access for all your content. The Smart Hub provides a single access to live TV, apps and other sources. You can browse content while watching TV and check out the thumbnail previews before diving in. You can enjoy the best online streaming content on a big screen and get immersed in a world of entertainment never seen before. The 60K+ titles encompass of International and National Content in 10+ local languages accompanied with a wide array of content as per consumers’ choice.